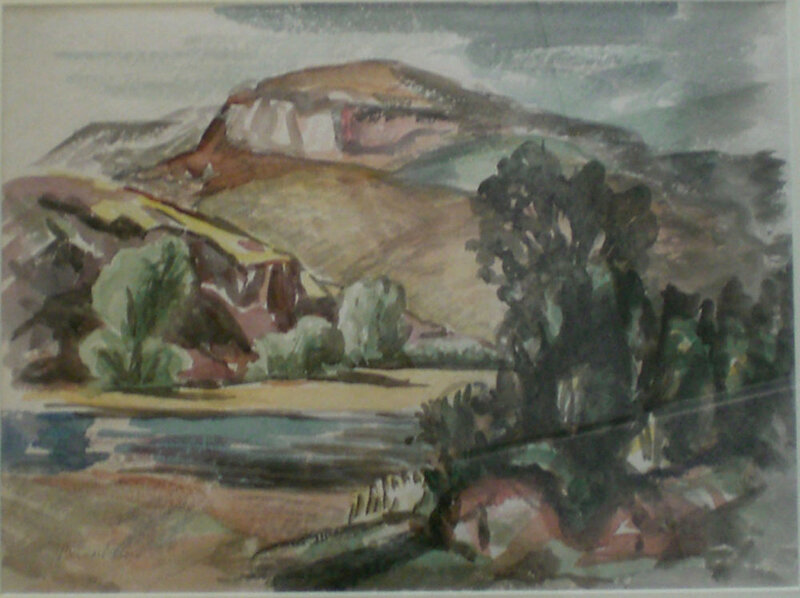 Education: Museum Art School, Pennsylvania Academy of fine Art, U. of Oregon, studied under Andrew Vincent and William Givler. Collections: Portland Art Museum, Seattle Art Museum, Museum of People’s Art. 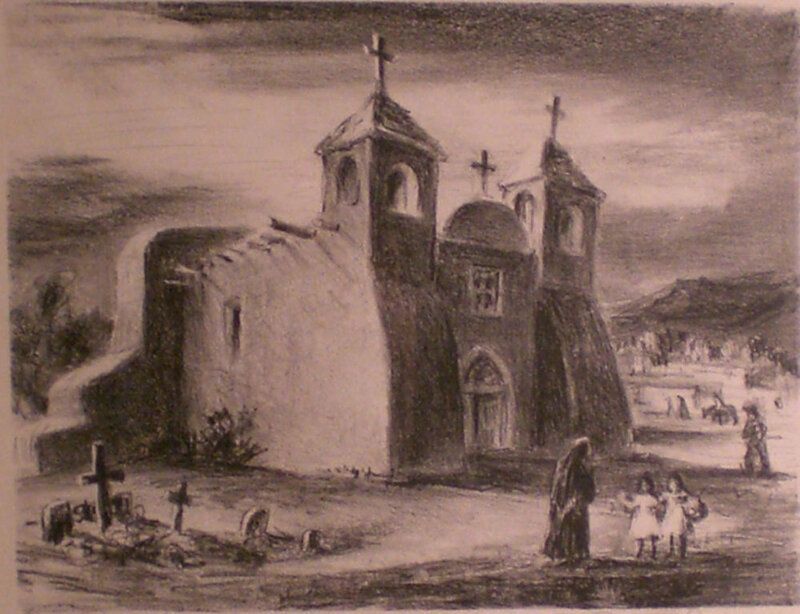 Before becoming an Episcopal priest in 1924, Geiser was a professional artist. 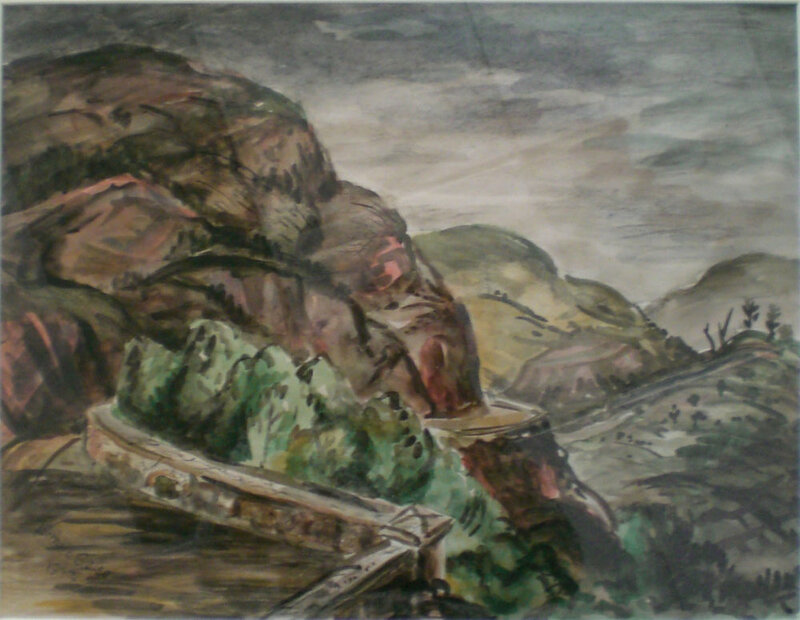 He painted in Europe during WWI and moved to Portland in 1931 where he continued painting landscapes and religious murals throughout is life including a series of watercolors of the then new ‘old highway’ through the Columbia Gorge which are shown in Oregon Painters, the First Hundred Years.